The manor is becoming a bird nursery, and mama birds have been busy with the new housing provided to them this year. Azure and Celeste started a second family and laid four eggs. From what I can tell, only two have made it so far. This time I’m leaving them alone and not providing them mealworms. I think that caused the Fish crows to become alerted of the little family and most likely grabbed the babies when they left their box. To give these two a fighting chance, I’m letting nature take its course and the plentiful bug supply has been keeping Azure and Celeste busy enough. 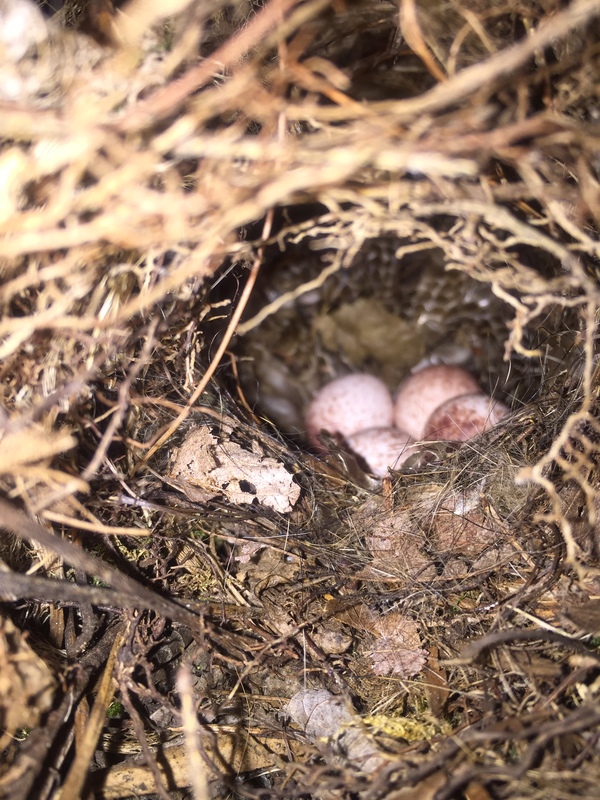 And then a little darling House wren has moved into another nest box, and laid six eggs. Poking my head in quickly tonight, I see they’ve begun to hatch. I count four eggs, one newborn so the last egg is a mystery. The Carolina wren probably drank the same water as Celeste and mama House Wren, and she joined in with the family making business. 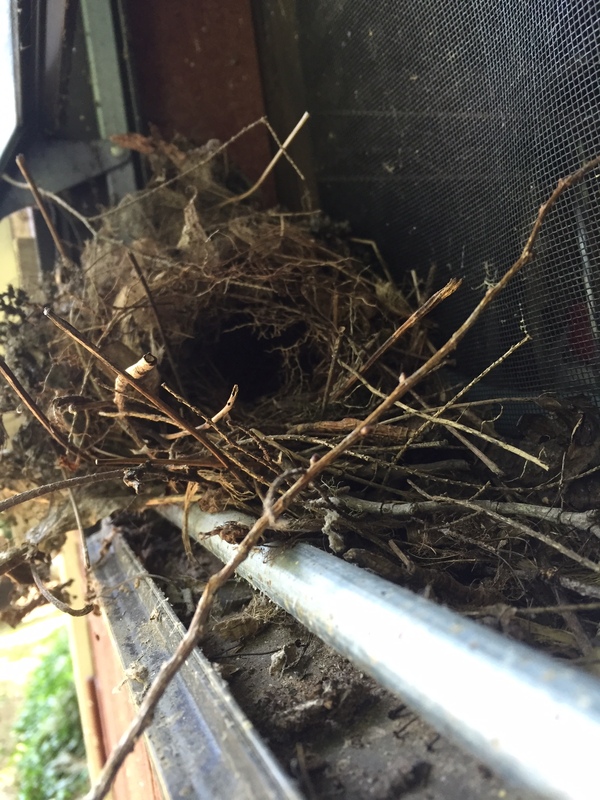 Creating her odd nest inside the window of our tool shed, she went straight to business and has laid four eggs. At this rate, I may have to be careful and not drink the water they’ve been drinking. At least the bug population will be getting a big hit very soon. Who needs pesticides when mother nature takes care of itself? You’re so blessed to have all of these fun, feathered friends around you. They sure are great skeeter catchers! You always know how to make me laugh. The skeeters are really bad now, they better get to work quick! Tonight’s report is that Azure and Celeste’s twins look like they’re ready to leave their nest box. Perhaps tomorrow. The House Wren, I only saw 3 babies but who knows. Only time will tell. Thank you.